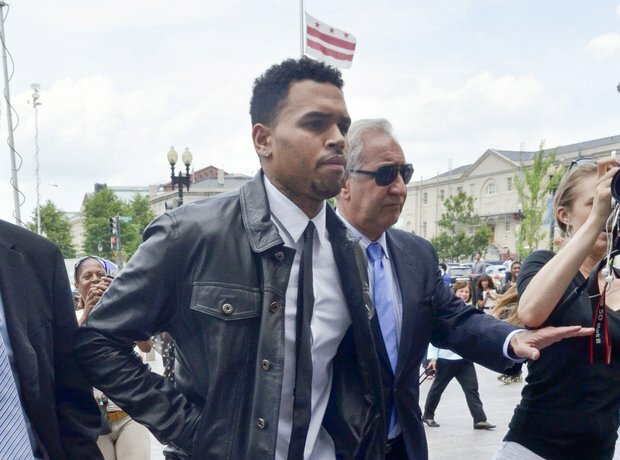 October 2013: Chris was arrested for felony assault before entering rehab. 13. October 2013: Chris was arrested for felony assault before entering rehab. Following a physical fight in Washington D.C., Brown was charged with a misdemeanor, and three days later, Brown voluntarily entered rehab for a 90-day stint. The deal was if Brown left rehab, he would go directly to jail. In mid-November, he was kicked out of the program and later sentenced to 90 days in an anger management facility, from which was expelled due to complaints from patients and violations of rules.